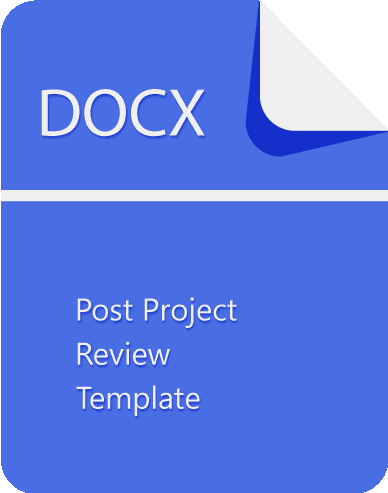 A simple, free post project review template containing all the information you need to get started. The Project Sponsor has overall responsibility for ensuring that the desired business benefits are achieved and it may be the Sponsor who leads the review, particularly if the Project Manager has gone on to other duties. 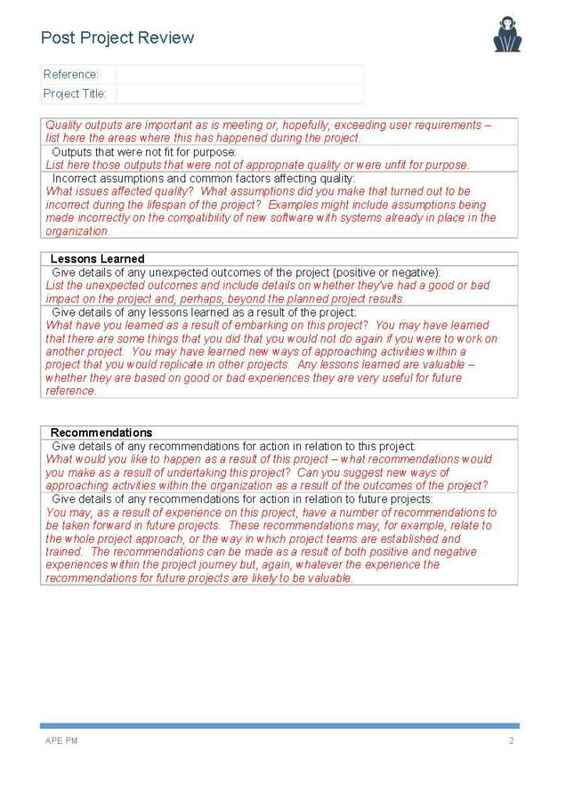 Also having a unified way of handling reviews can go a long way, so keep in mind that a post project review template could save the organization a lot of time and effort. 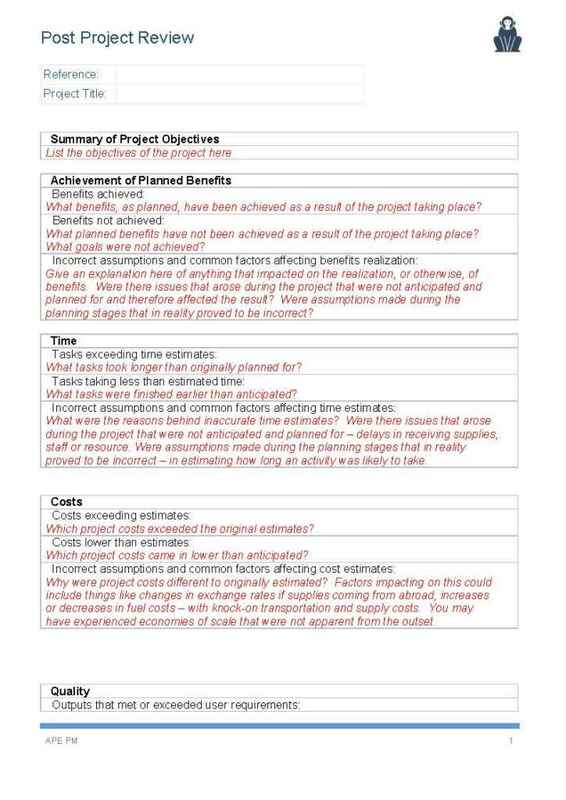 The post project review template will also highlight any unanticipated issues and highlight any further changes required. Please leave us a review on this template, so we can improve our products (change request template) and provide you with a better service. 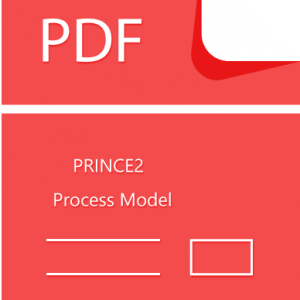 If you have any questions or feedback please do not hesitate to share them with us.